This was my second year doing the challenge. I found it more enjoyable than last year. One reason was that I did not link up both my blogs to the challenge, even though I post to the other blog, Take 25 to Hollister, every day. I chose to link up The View from the Top of the Ladder because I've been undisciplined about writing since last year's challenge. I drew pictures to illustrate some of my posts. That's another reason this challenge was more fun for me. I'm one of those people who is scared of drawing and hardly draw with the intention of drawing. 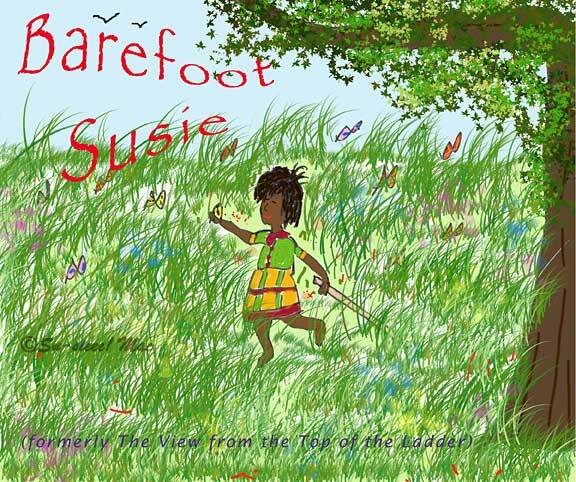 So, I was very pleased and encouraged by the positive comments that fellow bloggers wrote about my illustrations. Will I continue? We shall see. This year, I had no expectations of myself, which included going all the way through the alphabet. I told myself that I can withdraw from the challenge at anytime that I felt stressed about any aspect of my life. About all the pre-planning I did was create a list matching letters to dates and jot down possible topic ideas that came immediately to mind for the first week of letters. It helped that I focused on a week-by-week basis. Last year, I assumed I would have a lot of visitors—and comments—because of the number of participants, so I was disappointed when only a handful dropped by and commented. I was also let down last year that there weren't return visits from bloggers, and I visited more than five blogs most days. This year, I had no expectations about visitors—if any, or how many, would drop by, and if they commented about what I wrote. Every day, I visited a bunch of new blogs as well as revisited blogs with which I felt a connection, without a care if the bloggers came by mine. That was very freeing. And, you know what? I met some wonderful bloggers. Participating in this challenge provides me the opportunity to visit a wide variety of blogs. I learned so many things through this year's challenge, from art techniques at Sweetbearies Art Projects to genealogy at Yeakley–Jones Family History, actors' bios at BB Creations, 1930s slang words at Rumer has it..., self-acceptance at The Trans-Gentle Wife, medicinal herbs at Wanna Buy a Duck, insider things about Hawaii at Maui Junglalow, and places to eat in New York City at Buttercup Counts her Blessings. And, the storytellers. Oh my. They are enchanting, in particular, Sue Elvis Writes, Kathryn O'Halloran, and Sarah's Brand New Chapter. My thanks to the organizers of the Blogging A to Z Challenge. I appreciate all of your efforts and time put in to this event. My team enjoyed the challenge more this year than last too. Last year we had expectations that we would find other kindred spirits, gain a bajillion followers, and so on. We were sorely disappointed. This year we did it just to do it and had no expectations. I'm visiting you from the A to Z list. One of our blogs is Poetry of the Netherworld. Thanks, Birgit. I'm happy with the photo, too. I like how the light shows off the flowers. In a while, we're heading up to the Farmers Market. It's nearly 4 pm. It'll be interesting what my camera captures. I think you are smart not to have had expectations about the A to Z Challenge. I have enjoyed your posts and those fire poker flowers are beautiful. My mom used to grow flower pokers in her flower bed along the street. I love the intensity of this flower, even though it does not seem as intense as other flowers. 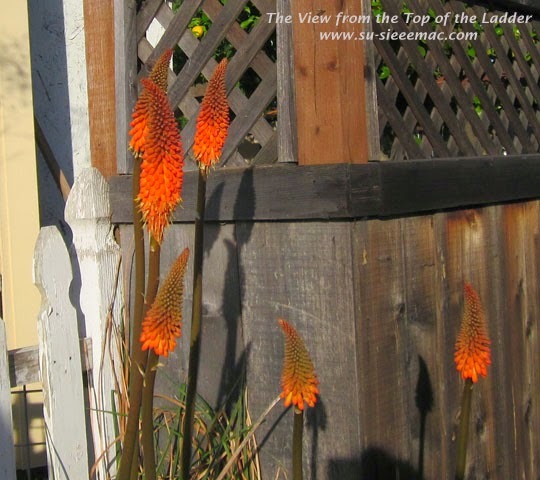 Actually I think the real name is red hot pokers, or kniphofia, but I just call them fire pokers because that is what they look like to me. Red hot pokers. Even better. I checked it out. They're drought tolerant flowers. Whoo-hoo! I would like to turn most of the front lawn into a drought tolerant yard. It'll be slow going because the Mama likes lawns. She has been very good about how dry the lawn is looking right now. Isn't it funny how expectations cloud our mood? I'm glad you had a good experience this year. Oh yeah, and I love the picture- the shadows make it in my opinion. I think many writers have beliefs that they should write only when they feel inspired--and they can only get inspired at certain times of the day/month/year. You learn, over time, that you can really write any time if you discipline yourself. 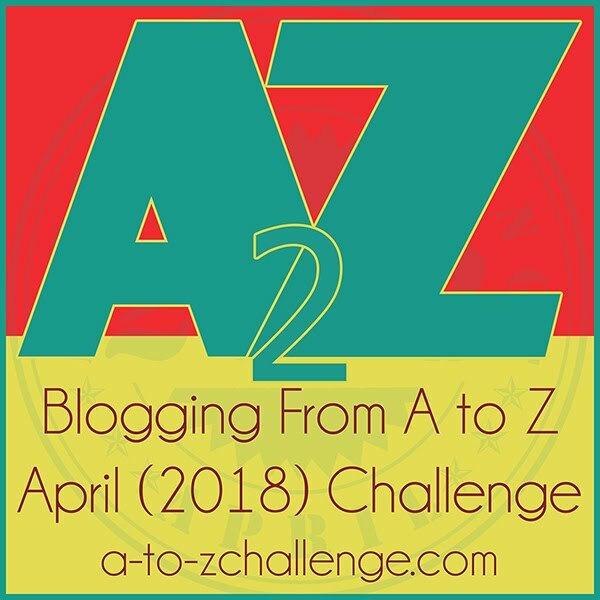 The A to Z Challenge helps us learn that discipline! Thanks for tying it together, Stephanie! :-) If I waited for inspiration, I would never have got going. Thought a very faint zappp would be useful to stop me from distracting myself. But, then the question about that is why do I distract myself so much from writing. I think your attitude going in this year is a very good one! Be kind to yourself, with realistic expectations. I'm glad it was a positive experience for you. Love that photo, too. I used to dabble in photography and I remember being in a gallery talking to someone who said the same thing...must be true, eh? I appreciate you coming by to say thanks. It's our pleasure to put on this event, and it's extra special when one gets a thanks. This was good to hear and thank you for posting it. We encourage everyone to have fun. Increasing numbers is nice if that's what you're looking for, but that aspect does take work. We try to educate everyone about commenting and following, but let's face it--some bloggers do what they always do and consequently don't grow. My tactic in the first years was that I'd visit as many blogs as I could each day and follow the ones that I wasn't following yet and let them know that I had done so. Often I would directly invite time to follow my blog as well. I always left the link to my blog. My strategy paid off in my persistence. I don't take quite the same aggressive approach now though I do still leave my link. But relaxing and having fun is the best thing to do when the list gets so big. Oh, and by the way, I noticed I was not following your blog so I remedied that. I am now a follower of your blog! Was fun! ... more drawings please! Widder, a very sweet woman you are! Thank you for mentioning my blog. That was a lovely surprise! I really enjoyed connecting with you during the blogging challenge. You are a wonderful storyteller and I loved reading all your stories. I also liked your drawings! The challenge is over but I can still keep reading your posts. I like that! They don't call it the magic hour for nothing! It's really incredible when you can capture the light. Thank you, I.L. I like knowing that the blog is "a great, honest blast." That's cool-dom. What an artistic eye you have. I hate to say that "I love" certain things. It always reminds me of PeeWee Herman when someone said that, he would say, "why don't you marry it?" But I'll say it anyway...... I do love that photo. The slight shadows, the tones...... Just right. Haahahaha. PeeWee Herman. I loved that show and I would've married it if I could've. Thanks, Manzi! Thanks for the mention. I loved your illustrations and enjoyed all the posts. I also read (without commenting) your Hollister Blog and have decided I need to make a trip for the Farmer's Market. I have taken some time off since the boy broke his leg but whether I comment or not, I am an avid follower.